Which is best, metal or wood? Choosing a new garage door is a big decision. For many homeowners, a brand-new door is a considerable financial investment, and it’s important that it will both complement the style of your home and stay secure for years to come. Garage doors now come in more colours and materials than ever, but there are two options that remain the most popular; wood and metal. Both materials have unique benefits when it comes to your garage and home, so we’ll list a few to help you decide the best door for your requirements. A steel garage door is going to offer exceptional durability over a long period of time, without being too sensitive to scratches, bumps and knocks. Aluminium doors are slightly more prone to denting, but neither metal is going to warp or buckle, making maintenance a breeze. In fact, metal doors are generally quite easy to maintain. You won’t need to worry about sanding them smooth, or preparing them for bad weather with fresh paints, coatings or sealants like you would a wooden door. The only attention they should need is an occasional clean with gentle detergent, and a fresh coat of paint if they get scuffed. 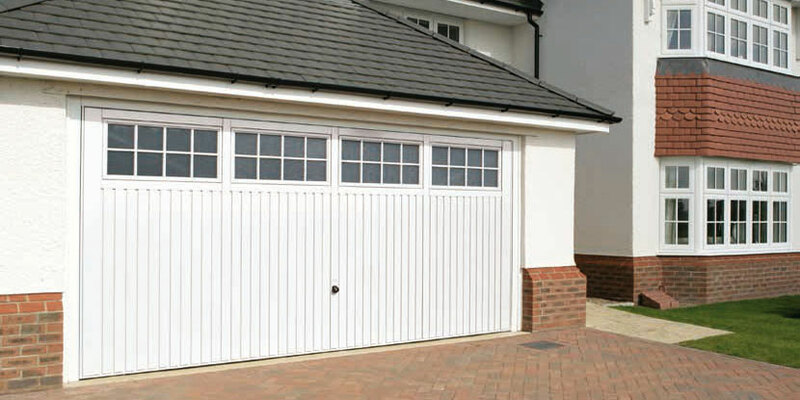 Neither steel nor aluminium can offer exactly the same warmth and luxury as a wooden garage door, but if you’re happy with a more modern look, your wallet might thank you. Many people find that metal doors are a better option for their budget, and can easily find an attractive design to blend with their home amongst our wide range of colours and styles. Natural timber lends a certain elegance to any home, and matching a new garage door to the other wood on the outside of your home (for example, your front door, window frames or fascia) creates a luxurious, cohesive aesthetic. We’ve found many of our customers choose to upgrade to a wooden garage door to add both curb appeal and value to their home. You might think that metal or plastic doors offer the greatest range of colours and styles, but that is simply not the case. 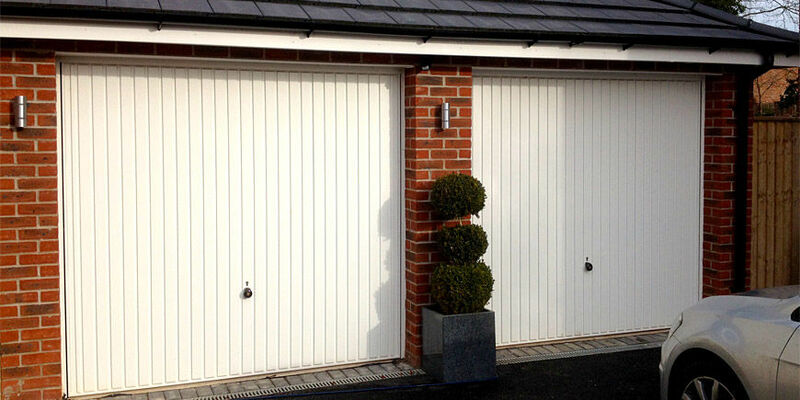 At Wessex Garage Doors, we have a wide selection of wood tones and grains to blend into any style of home, which are available in numerous kinds of door. Whether you want a sectional garage door with beautiful Georgian panels or a minimalist up-and-over door with decorative windows, we can help. We’re not just talking about the visual appeal of the wood. Wooden doors are naturally more insulative than metal varieties (although you can add insulation to certain styles), making them cosier for households that use their garage for more than just storage. Even if your garage doesn’t double-up as a gym / office / play room, if it’s attached to your home then a wooden door can help you reduce the amount of heat lost through it. Are you beginning to feel like it’s time your home had a new garage door? Whether you need help choosing the best material for your requirements, or would like to ask a question about professional installation, we’re here to help. Simply call our friendly team on 0800 161 3733, or send us a message via our contact page and we will get back to you as soon as possible.